The Industrial Revolution is often credited as the beginning of what we know today as modern civilisation. Before then, life was seen as primitive. Life was simple and people’s needs too. With Industrialisation, human trade took a different turn. The newly created industries needed markets for their goods and materials to continue production. Thus the quest for colonies that would provide both raw materials and a market for finished goods. These trades placed the majority of African countries at a disadvantage. Their way of life was discarded in favour of that coming in from the West which was seen as superior and advanced. Trade by barter and cowries were replaced with paper money as means for trade and thus capitalism was born. At the end of the Second World War, many of these colonies gained independence from their colonial masters. However, this independence came with a heavier price and generated a new class of people who wanted to identify only with the colonial masters. And so, our dresses and way of dressing were considered inferior. Our hot irons for straightening hair were considered primitive. They were relegated to the background to be replaced by chemical induced relaxer products detrimental to our health while enriching some big corporate body in the West. Afro, ‘bigidi’ and ‘long long’ hair styles and ebony skins were swapped for wigs and bleaching products with peoples spending fortunes, on hair care and beauty products. Pure unadulterated Black was no longer considered beautiful or successful. There is now a new surge in Afrocentricism. 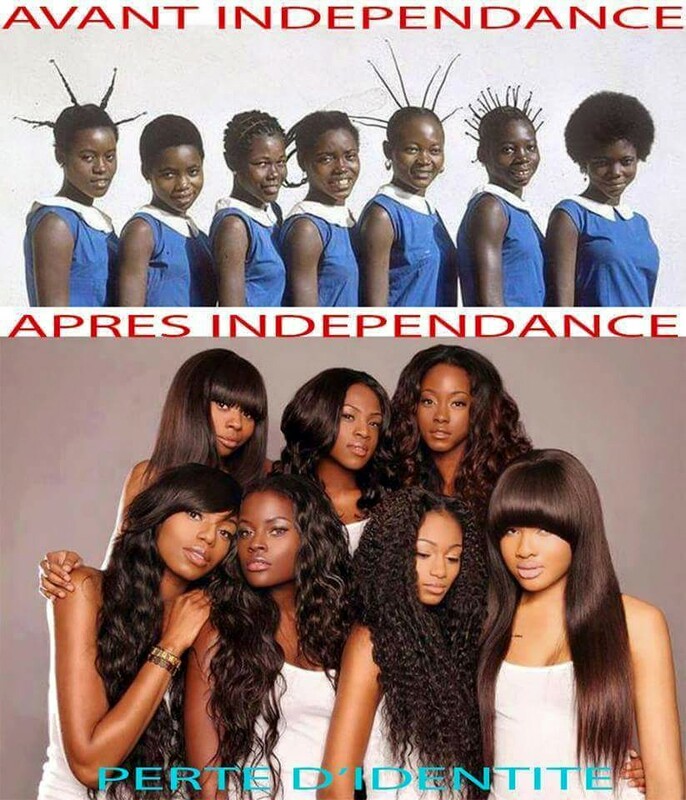 Africans are trying hard to reclaim their roots. It is laudable but the things we lost on our way to civilisation are so many and their roots so deep that it would be an uphill though not impossible task to totally reclaim them all… It is going to be an incredible feat if; we can embrace globalisation without losing our identity in the process.